Sometime in 1973, then Premier Eric Gairy of Grenada made a final pitch to obtain independence for Grenada. At the same time opposition groups expressed serious concerns about Grenada obtaining independence under Gairy’s leadership. Grenada was then an Associated State with the United Kingdom (UK) from since 1967. 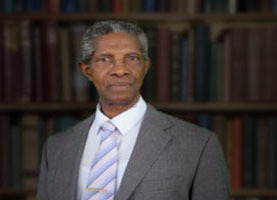 That status meant that the Grenada government was responsible for matters relating to the internal affairs of the state, such as management of the public service, the health sector, the education sector and general infrastructure and the UK government was responsible for its external affairs such as defence and citizenship. Despite the opposition elements, it was not difficult at all for the UK to accede to the request of Premier Gairy. In the United Nations there was constant internal mobilization for imperial powers to release their dominance over their colonies. In 1961 the General Assembly created what was referred to as “The Special Committee on Decolonization” and Resolution 1514 stated that all people have a right to self-determination and proclaimed that colonialism should be brought to a speedy and unconditional end. The UK government therefore had no legs to stand on if they considered not acceding to the request of the government of Grenada. It is quite conceivable that Gairy’s advisers, such as Minister without portfolio and Barrister Derek Knight and others advised him accordingly. The Premier therefore would have been well acquainted with the dynamics of international politics. The idea behind Gairy’s move for independence was for Grenada to have full and absolute control over both its internal and external affairs. There seems to be no reason to believe that Premier Gairy himself had ulterior motives for the making of the application. He is acknowledged as having been a dynamic leader with a clear vision and one who was always pregnant with innovative concepts. However, there seems to have been a genuine fear at the time amongst many Grenadians that independence under Gairy’s leadership would bring utter chaos to the country. This is being advocated amidst the backdrop that Gairy’s “Mongoose Gang” was continuously being accused of terrorising anyone who showed opposition to Gairy. On Sunday 18 November 1973, in the town of Grenville, just about eleven weeks before Grenada was due to receive independence from the UK, some of Gairy’s police aides were responsible for unlawfully accosting six members of the New Jewel Movement (NJM). Three of them, Maurice Bishop, Unison Whiteman and Selwyn Strachan were severely beaten. Maurice Bishop suffered a broken jaw as a result of the onslaught. All six were then placed in a cell at the Grenville Police Station without being allowed to have medical attention and were refused bail. As a consequence of this shocking episode, representatives of various bodies met on the following day at Otway House on the Carenage, St. George’s. They formed themselves into an organisation called “The Organisation of 22”. This organisation expressed shock and disgust at the beatings and subsequently organised a general strike throughout the city. A series of demonstrations and an ultimate violent clash along the Carenage between supporters of the Organisation and supporters of the government ensued. Premier Gairy was forced to hold a Commission of Inquiry into the general chaotic situation. He did so as the country was in shut down mode and he was also fearful that his plans for independence on 7 February 1974 would become jeopardised. The Commission was called “The Duffus Commission of Inquiry into the Breakdown of Law and Order and Police Brutality in Grenada”. It was commissioned on 6 December 1973. Its report, first published on 7 February 1975 severely castigated Premier Eric Gairy, two magistrates, a solicitor-general, some senior police officers and police aides for their involvement in several breaches of the constitutional rights of citizens. In fact the incidents surrounding the Duffus Inquiry severely tarnished the otherwise good dynamic reputation of Eric Gairy. Paragraph 201 of the report stated that “while the demonstrations were not planned as a means to impede or prevent political independence for Grenada; we are satisfied that persons who were opposed to the leadership of Mr.Gairy used the demonstrations with the hope or expectation of delaying independence”. Notwithstanding all of this, at midnight on the 6 February 1974, atop the historic Fort Frederick, Grenada’s independence flag was raised ushering in a new era for Grenada. At that time however, Grenada’s capital, St. George’s was in darkness. There was no electricity as a general strike was in progress. Nonetheless, Grenada has since emerged from that darkness into the light of a new day. We are now celebrating forty years of independence on 7 February 2014. Happy Independence to all.